Born in 1869 near Versailles, Kentucky, Clifford Berryman developed an exceptional artistic ability at an early age. As a child, he spent much of his time with pencil and paper in hand, sketching the likes of friends, family, and even local politicians. Berryman's work eventually attracted the interest of Kentucky Senator Joseph C.S. Blackburn, who helped him secure a draftsman position at the U.S. Patent Office. In 1886, at the young age of 17, Berryman moved to Washington, DC to draw patent illustrations. 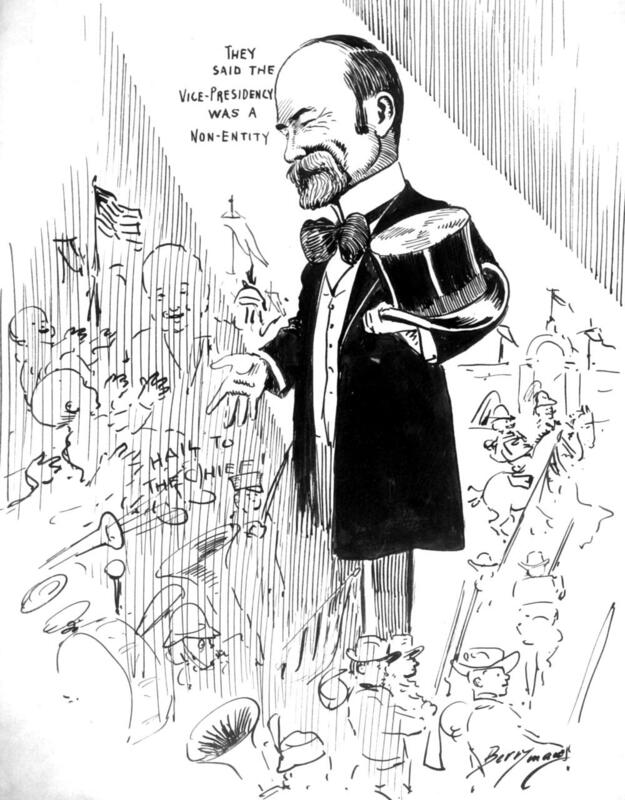 In 1891, Berryman left the technical trade for the world of political journalism, applying his talents as a cartoonist for the Washington Post, a position he held until 1907. That year, he became the front-page cartoonist at the Washington Evening Star—the U.S. capitol's most widely-read newspaper at that time. He remained at the Star until his death in 1949 at the age of 80. During his time in Washington, Berryman drew every U.S. president from Grover Cleveland to Harry Truman. His most celebrated presidential rendering, “Drawing the Line in Mississippi,” portrays Theodore Roosevelt’s famous refusal during a hunting trip to shoot a bear—depicted as a “teddy bear,” as Roosevelt was often know. In 1944, Berryman received the Pulitzer Prize for editorial cartooning. In honoring his service, President Harry Truman in 1949 complimented the cartoonist as "a Washington institution comparable to the monument." Throughout Berryman's career, neither Democrat nor Republican escaped the cartoonist's satirical—albeit flattering—sketchbook, earning him great respect from both sides of the political aisle. Among those politicians included several Hoosier personalities such as Tom Taggart, Indianapolis mayor from 1895 to 1901 and unsuccessful candidate for the U.S. Senate in 1916; Paul V. McNutt, Indiana Governor from 1933 to 1937; and Charles Fairbanks, U.S. Senator from 1897 to 1905 and Vice President to Theodore Roosevelt. Untitled (1939). Record description from the National Archives: President Franklin Roosevelt was cautious about announcing his intentions about running for a third term in 1940, implying that he might consider another term if a major crisis erupted in Europe. Several Democrats thought they had White House support for the 1940 Democratic Party nomination. One such person was Paul V. McNutt, former governor of Indiana and high commissioner of the Philippines, who had been appointed recently to head the new Federal Security Agency. 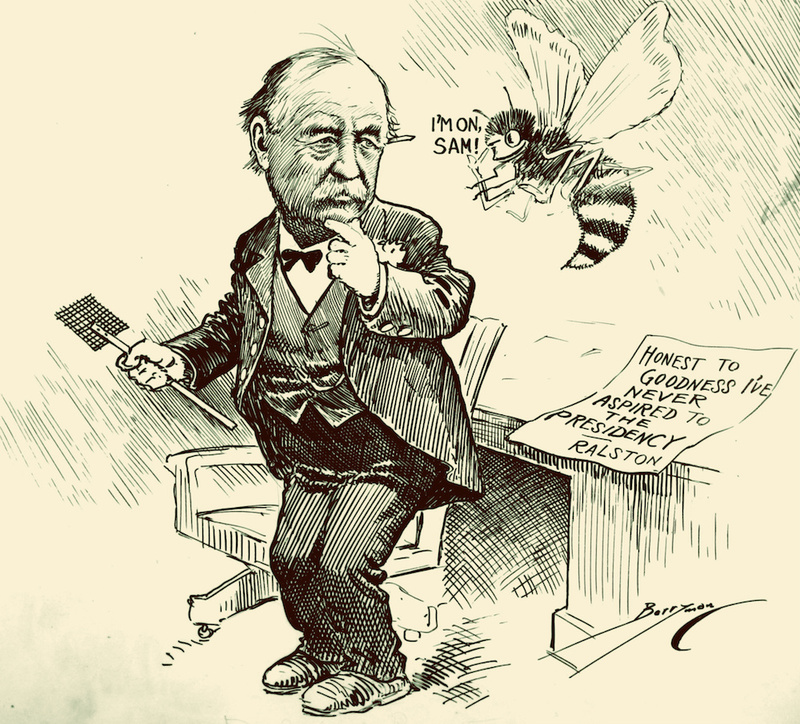 Cartoonist Clifford Berryman's "Presidential bee" buzzes about McNutt's head as McNutt sits by a fishing hole, waiting for a bite on his "McNutt boom" bait. Little support developed and his boomlet fizzled quickly. Untitled (1927). Record note from National Archives: Scandals in Indiana involving the state Republican administration and the state Republican Party, created an opportunity for the Democrats to win in 1928. However, Indiana Democrats had been torn over their choice for Democratic Party Presidential candidate in that election. Many party leaders thought their chances of winning would be greater if neither William Gibbs McAdoo nor Alfred E. Smith were the candidate. Both men were considered too liberal for the conservative Indiana voters. Cartoonist Clifford Berryman sums up the problem by showing Indiana Senator and party boss, Tom Taggart, attempting to inject the tired Indiana Democratic donkey with a dose of Hoosier political scandals. But even he is concerned that "Alas! There was a time when this would put life into it." The Berryman cartoons are now part of the official Records of the U.S. Senate housed in the Center for Legislative Archives. Over 2,000 these drawings have been digitized by the National Archives. For additional Berryman cartoons featuring Indiana politicians, search "Indiana" within the Berryman Collection. 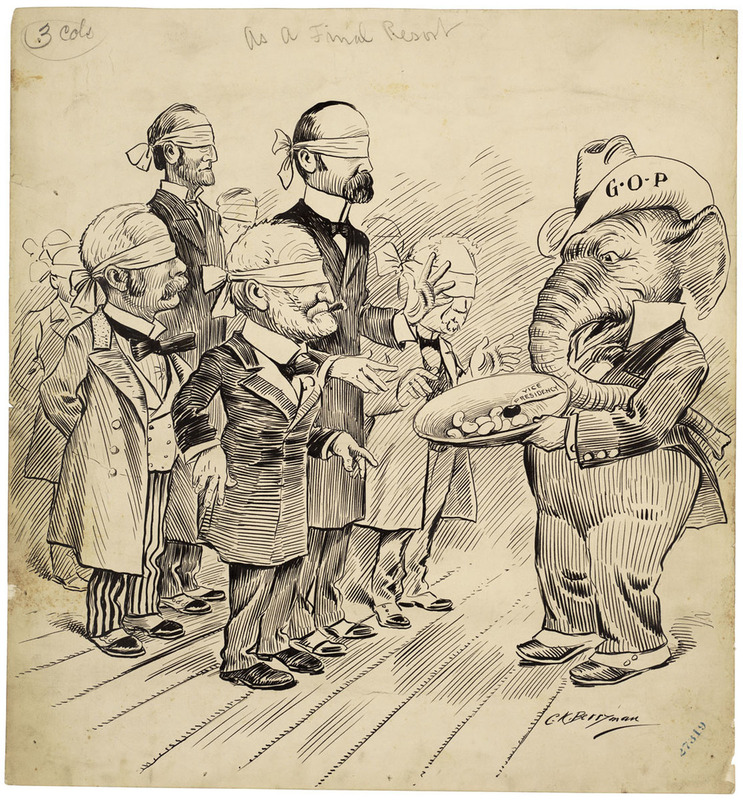 National Archives, Berryman Political Cartoon Collection, 1896-1949. National Archives, Running for Office: Candidates, Campaigns, and the Cartoons of Clifford Berryman (Press Kit).